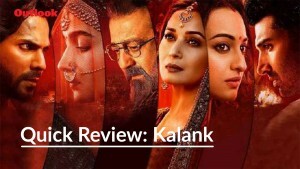 According to Transparency International, India ranks 87 in the 2010 corruption index in a list of 178 countries, ranked from very clean to highly corrupt. Ranked with India at 87 are Albania, Jamaica and Liberia. India slipped from 84 in 2009. In our country kickbacks, bribes, public swindles and land-grabbing is now virtually institutionalised. Clean politicians, bureaucrats and police officials are now seen as a rare, endangered species. And it’s not just people in government, even the private sector has seen its share of scams. 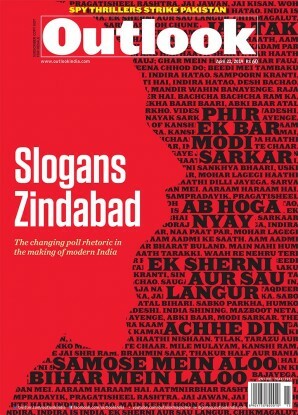 In post-liberalisation India, the total money scammed off is estimated to be a staggering Rs 74 lakh crore. 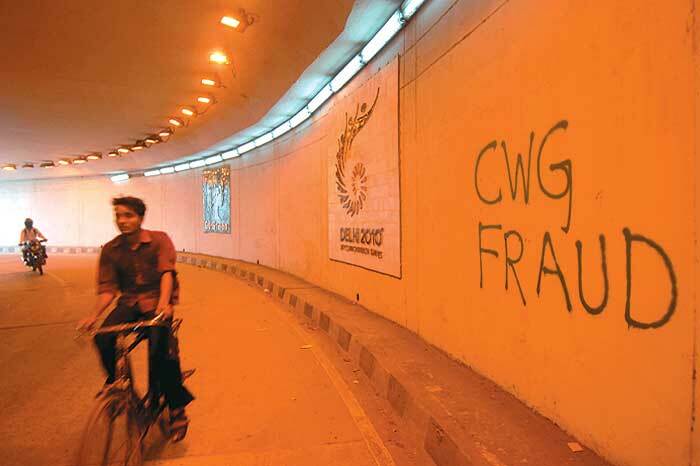 Last year especially was the year of scams, including as it did the 2G and the CWG swindles. 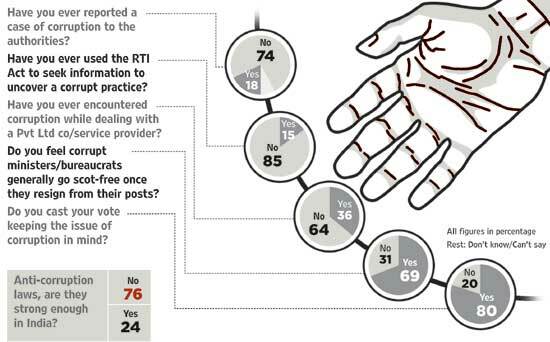 Has 2010 changed public perception of corruption? 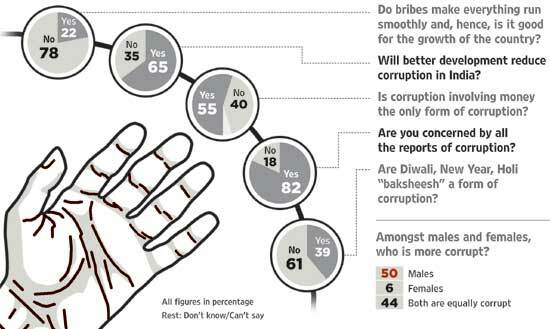 An Outlook-CNN-IBN poll conducted by GfK Mode across eight cities found that corruption remains a matter of very serious concern. 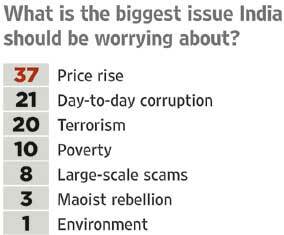 In fact, the poll reveals that it is only a close second to inflation and is seen as a bigger threat than terrorism. Not surprisingly, the majority (66 per cent) ranked politicians as most corrupt, followed by bureaucrats (14 per cent) and the police (7 per cent). Being in power and having presided over several cases of mega corruption, the Congress was seen as the most corrupt political party. Worse, more than half of those surveyed said that none of the political parties had the wherewithal to deal with corruption. 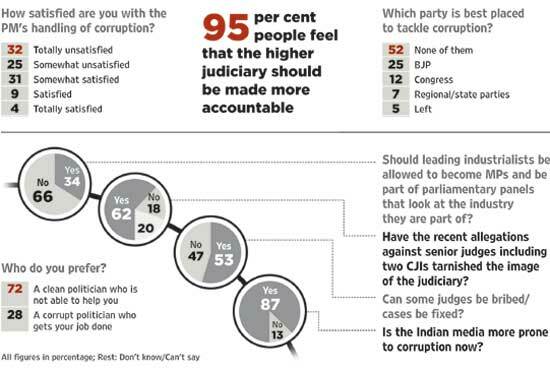 Though there is much concern about corruption, the majority (74 per cent) admitted they have not acted against the corrupt. 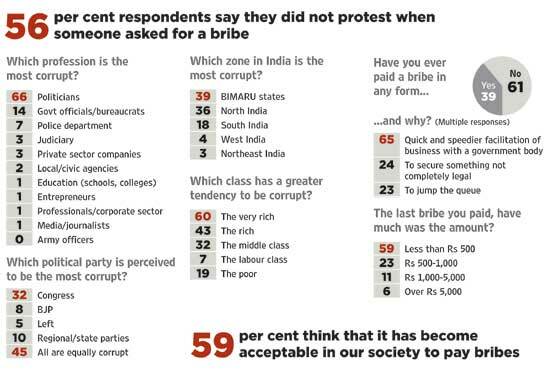 As many as 56 per cent said they didn’t object when asked for a bribe. A total of 1,633 adult respondents (1,037 males and 596 females) in eight cities —Ahmedabad, Bangalore, Chennai, Delhi, Hyderabad, Calcutta, Lucknow and Mumbai—were interviewed between January 8-10 for the survey. Next Story : And You, Mister CMD?